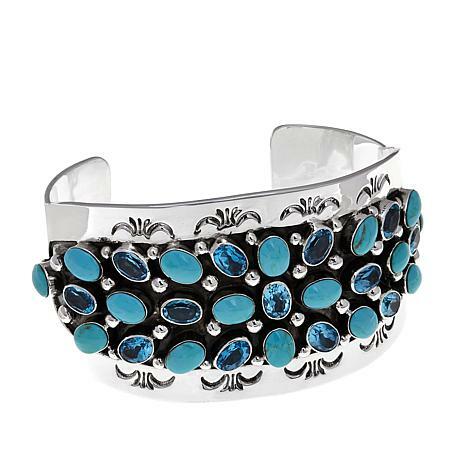 This cuff is a fresh take on indigenous Native American artistry. 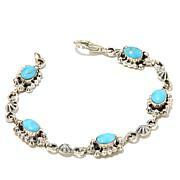 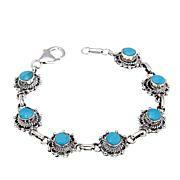 With a cluster of Swiss blue topaz and Kingman turquoise cabochons and bead detail stretched across the length, it combines original design with rich color and intricate etching. 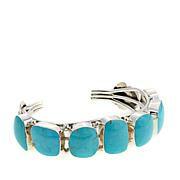 If you're looking for art that comes alive, this cuff bracelet takes the spotlight.